Cube Escape Paradox is an Adventure game for PC published by Rusty Lake in 2018. Solve the puzzles as a detective facing tons of secrets! The story of disturbed detective, Vandermeer, delivering new clues, a lot of secrets and expanding lore along with wonderful music, is waiting for you to solve the puzzles! Rusty Lake is a series of games currently composed of fourteen games (the majority free) which little by little develop a dark and mysterious story. With a simple game mechanic (escape room) and bizarre puzzles the developers have managed to create an eerie and surrealistic universe that is expanding more and more. 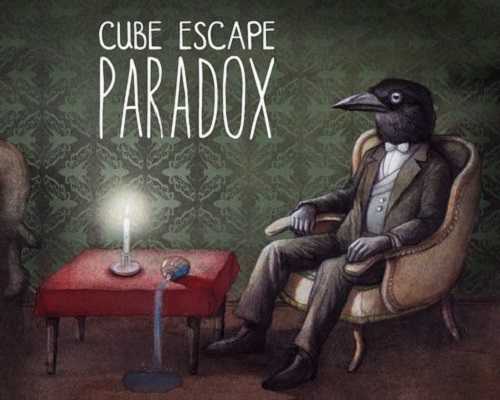 Now for the players who have devoured all the other “Rusty Lake” games: Chapter 1 of “Cube Escape: Paradox” is an excellent continuation of the saga. Keep in mind that this is not a “Rusty Lake” game, it is a “Cube Escape”, so the claustrophobic and minimalist four walls scenario returns. The graphic work and the music, wonderful as always. The puzzles are less complex but more varied than in the previous games and the atmosphere gives the perception of being less bizarre and dark than before … which is just a preparation for the delightful Chapter 2. 0 Comments ON " Cube Escape Paradox Free PC Download "